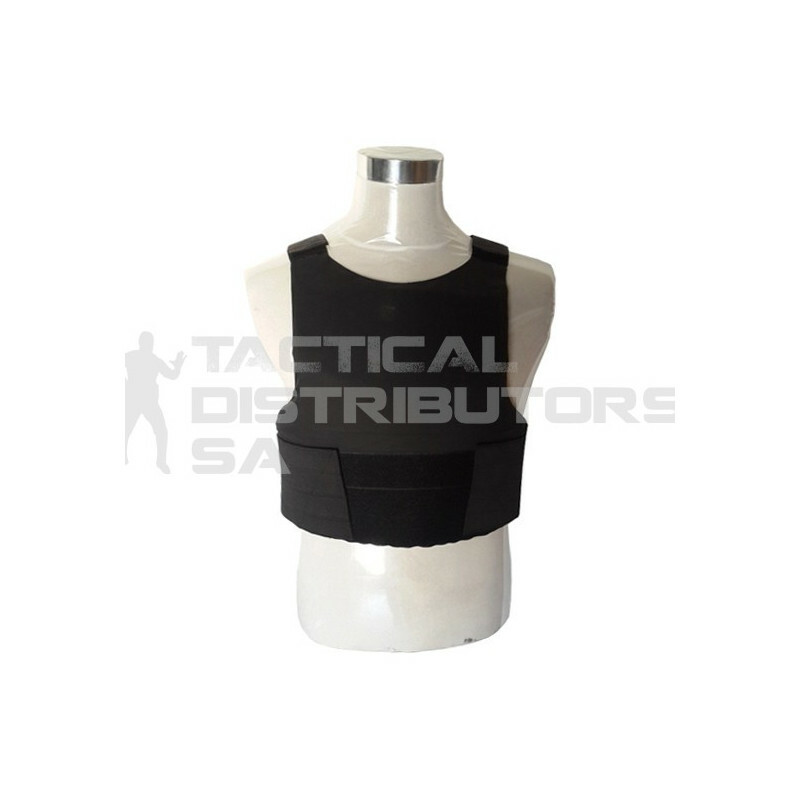 The Shield Covert vest is a Level IIIA Ballistic vest made from laminated Aramid fibre, which is capable of protecting the wearer against most handgun threats. The Shield vest is low profile enough to be worn underneath clothing, and offers front, back and semi-wrap around side protection. This vest is availalbe in two sizes and, S/L and XL/2XL and is adjustable. Available in Black, White or Navy. White is particularly useful if worn under clothing as it does not "imprint" through a white shirt. Please Note: Due to supply and other considerations, insert composition may vary from time to time. Insert protection level and properties will always meet or exceed SANS 1658:2007 Level IIIA Standards however.